The first of our Cavanagh family to arrive in New Zealand was William Cavanagh; he landed at Port Chalmers, Otago, on the ‘Gill Blas’ in 1856 and came from Melbourne, Australia. How he got to Melbourne and with who else I am yet to discover – I suspect he wouldn’t have travelled alone. Although important to our family, William Cavanagh (1835-1873) is of greater importance to all of the Galway early settlers, as he was the first Irish Catholic to land in Otago, according to research carried out by Sean Brosnahan of the Otago Early Settlers Museum. Then, shortly after his arrival, he started an ‘immigrant chain’ that was to nominate many other Galway Catholics for passage to Otago and Southland. William’s arrival paved the way for other immediate family members to follow: John Francis Cavanagh (1833-1910; my great grandfather) arrived in 1857 on the ‘George Canning’; a sister Annie (1827-1918) was listed to travel with John, but at the last minute she stayed in England and there married John Loftus – they arrived 1859 on the ‘Alpine’; in 1862, Mary (1835-1914) and Michael Cavanagh (1841-1915) arrived on the ‘Storm Cloud’ – another sister Cecilia (1843-1925) was also listed to travel, but was ‘short shipped’ (not enough space on the ship, and she was to travel on the next available vessel). However, Cecilia returned to Annaghdown and married in 1866 to John Walsh – they eventually resided on the Cavanagh farm. 1865 saw Margaret (1840-1918) arrive on the ‘St Vincent’ – this ship also had a Celia Cavanagh listed to travel. There is one other sibling, Thomas Cavanagh (1841-? ), whom I had thought had also travelled out to New Zealand, but the Thomas I found there is part of a different Cavanagh line, also from Annaghdown. The above are all children of Francis ‘Frank’ Cavanagh and Cecily Ford, who married in February 1826 in the Parish of Annaghdown. John Francis Cavanagh (1833-1910) and Annie Ford (1840-1884), early Annaghdown settlers in New Zealand. Besides Thomas (1841- ? ), there could be other siblings that I haven’t found as yet, and considering that when the immigrated they travelled in pairs or nominated to travel in pairs, there could be a sibling in Australia, either Thomas or another. Patrick is a name that features in offspring of each sibling, but I cannot find a Patrick born in Annaghdown that could belong to my line. Having landed in Port Chalmers, William, and then John Francis, settled in Milton, South Otago before moving further south to Roslyn Bush just outside Invercargill, when land became available there. It is to Roslyn Bush that the rest of the family also went to when they arrived in New Zealand. 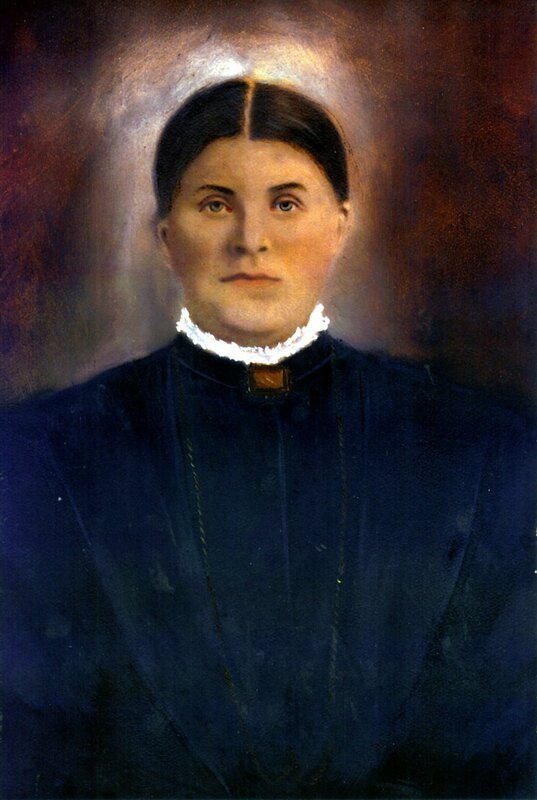 William married in 1862, Mary Collins (c. 1844 -1885), born in Drumgriffin, daughter of Michael Collins and Margaret Glen; she arrived at Port Chalmers on the ‘Melbourne’ on 17 March 1861 alongside 18 others from Annaghdown and Drumgriffin, all of them nominated as part of the ‘immigrant chain’. 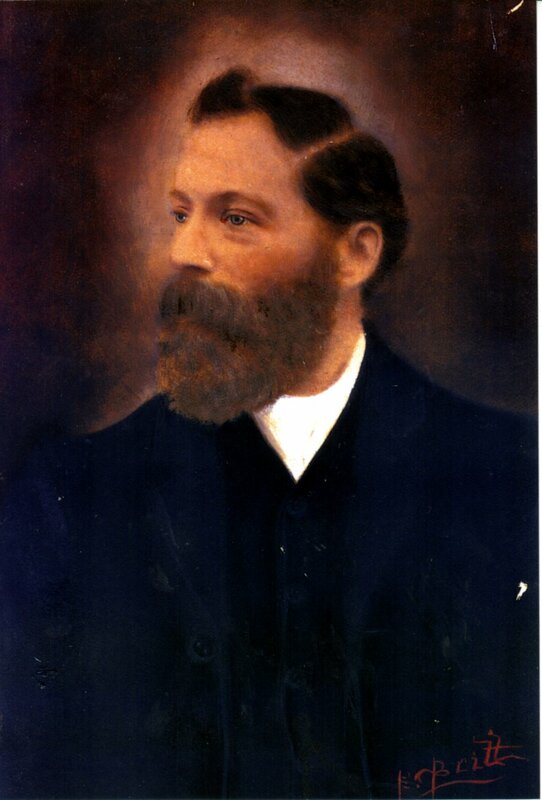 John Francis (1833-1910) married Annie ‘Hannah’ Ford (chr. 5 Apr 1840-1884) in 1861. She was born in Annaghdown to John Ford and Eleanor Casey, and arrived at Port Chalmers on the ‘Melbourne’ on 17 March 1861 with her brother Patrick Ford (1834-1918). Annie Cavanagh (c. 1827-1918) married before 1859 to John Loftus (c. 1830 – 1917) from Co. Mayo; their marriage is thought to have taken place in England. They arrived in Port Chalmers on the ‘Alpine’ on 11 September 1859, initially settling in Dunedin and later travelling south to Roslyn Bush. Mary Cavanagh (c. 1835-1914) married John Ford (c. 1831-1904) in 1863. He was born in Drumgriffin, son of William Ford and Margaret Kane, and arrived in 1857 on the ‘George Canning’. They settled at Gropers Bush, Southland. Margaret Cavanagh (1840-1918) married John Caufield or Caulfield (c. 1841-1915) in 1868. He was born in Galway to parents unknown; a cousin Daniel Caulfield (c. 1838-1904) came from Drumgriffin, and was nominated by William Cavanagh. John arrived in 1863 on the ‘Sir George Pollock’, and they settled at Roslyn Bush, Southland. Michael (c. 1838-1915) did not marry. For a long time I thought that my great-grandfather, John Francis Cavanagh. came out to New Zealand on his own, and there he married and raised a family, but gradually I found his siblings. Then when Sean Brosnhan told me about the importance of William Cavanagh to those other Galway families that settled in Southland, my research changed to include those families and their descendants. In 1994 Denise Beerkins of Woodlands in Southland produced a booklet on the 100th anniversary of St Patrick’s Catholic Church at Rakauhauka. In the booklet, she tried to list as many local families as she could find, but in the end had to say that ‘there were almost certainly other families but we have not one to tell us about them’. They were all from Ireland but predominately Co. Galway: Thomas (Rostellan, Co. Cork) and Mary Hanning née Ross (Whitegate, Co. Cork), William Lyons, Mary Ann Lyons, Mary Condon, John Ross (Whitegate, Co. Cork), Thomas Kilkelly (Annaghdown), Mary Caulfield (Drumgriffin), Daniel Caulfield (Annaghdown), Mary Finnerty, George and Margaret Brown née Burke (both from Drumgriffin), Bartholomew Burke, Thomas and Mary Garvey née Flanagan (both Co. Galway), Mary Murphy, James and Bridget Forde, John (Co. Galway) and Margaret Caulfield née Cavanagh (Annaghdown), James (Co. Galway) and Bridget Murphy née Caulfield (Drumgriffin), William (Co. Galway) and Annie Scully née Finnerty (Co. Galway), Roger (Annaghdown) and Mary Leonard née Collins, Anthony Fahey, Honora Lee, Denis and James Tobin (Cloyne, Co. Cork) John and Nora Lee née Maloney, John and Elizabeth Hurley, Lawrence and Jane Finnerty. Some of my Ford family members were among those to move from Annaghdown to NZ. I thoroughly enjoy David Cavanagh and I am forever in his debt for filling in so many blanks about the Ford family.